We’ve all seen, heard of, or even fallen foul to cheap imitation products at one time or another, but whereas it usually involves brand name products or designer label clothing, you’ve probably never heard or experienced such with cheap imitation door handles! What....! I hear you say, and you’re quite right to be saying so, as what we’ve recently read in the news is discouraging to say the least. We won’t mention any names, however a well-known supermarket in the UK has recently recalled almost 100,000 locking door handles sold over the last year! The cheap door handles which were for use on UPVC external doors have been a huge disappointment to all of those that purchased them, failing to lock, with the key only turning and not actually locking the door! As the number one retailer of door handles UK and Europe this doesn’t surprise us having previously encountered many dubious qualities of door furniture, but what does surprise us is that the issue wasn’t spotted or dealt with by the supermarket sooner. We avoid such disappointments for our valued customers by being inflexible on product quality, uncompromising however cheap it means we can make a door handle. We also have a 3-point quality control process in place whereby each of our products are inspected and tested throughout each stage of manufacture, upon entry into our warehouse and once again before dispatch, no-doubt something the supermarket may now be wishing they’d also had in place. So what do you need to look out for when you buy door handles, and how do you know if what you’re buying is or isn’t a cheap imitation? Seek the advice of a specialist, whether that be us having years of experience, your local lock smith or carpenter. 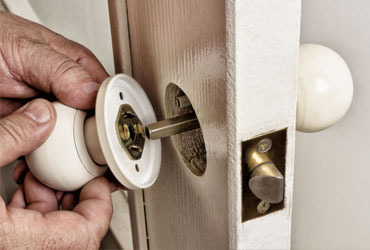 Buy your door furniture from a specialist, not your local DIY store or supermarket. If you buy online then check the company display their address and telephone number. When shopping online take your time to read the product description and specification thoroughly. Whether purchasing online or not, always ask about or check the returns policy and length of product guarantee. Ask how long the company have been established, the longer the business has been trading the better. If buying stainless steel door handles, check the Grade of stainless steel used in manufacture. Check up on the company’s reputation by reading online testimonials and product reviews. Following the tips above should help to ensure you make the right decisions when purchasing door furniture, and if shopping with us then rest assured we’ve maintained a level of product quality over the years that we're not only proud of but that exceeds customer expectation and at the same time managed to create a wide range of door furniture, that’s easily affordable not cheap! Now you know where to shop, read our article which door handles to help understand which items of door hardware you'll need.